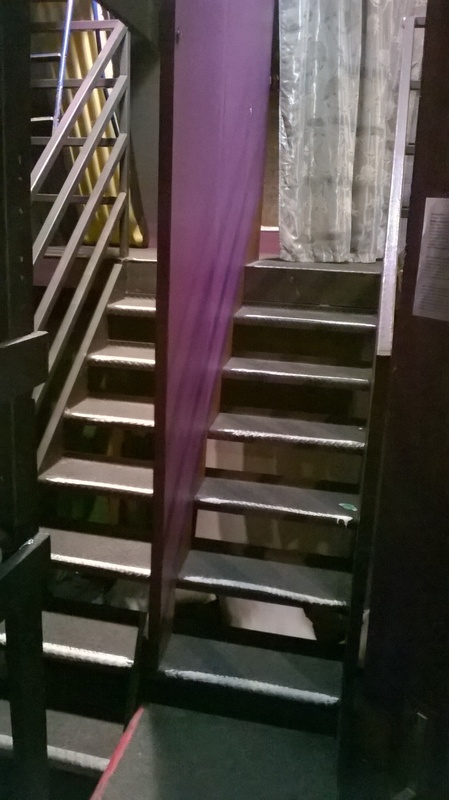 Beautiful purple stage curtain with pulley & rope operation at stage right. 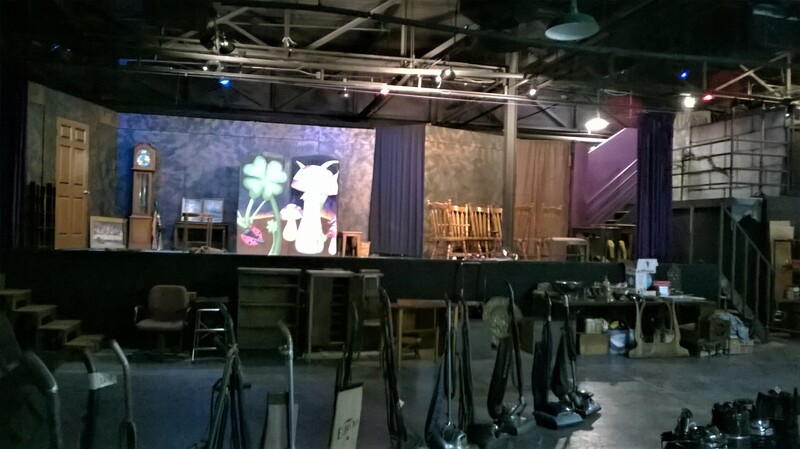 Stage platform is 38 feet across, 16 feet deep, and 42 inches high. 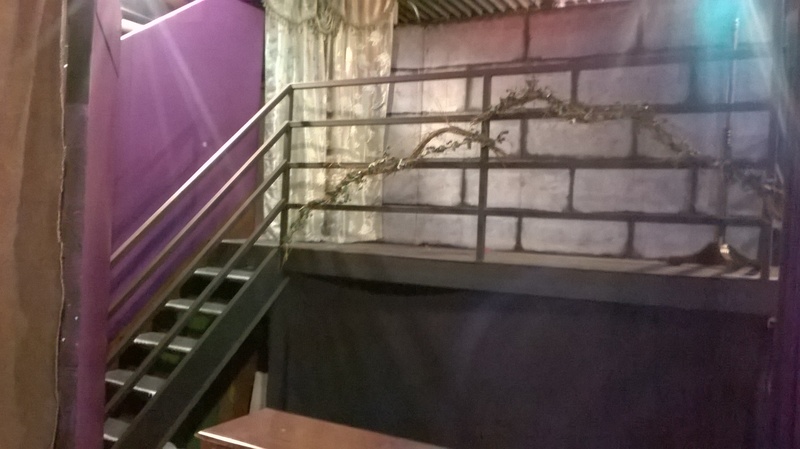 Balcony with onstage and backstage stairway access. 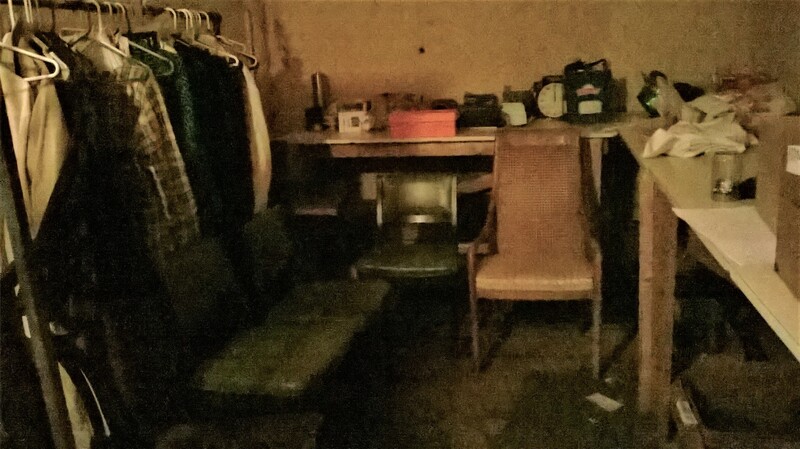 Two dressing rooms and space backstage for set props and scenery. 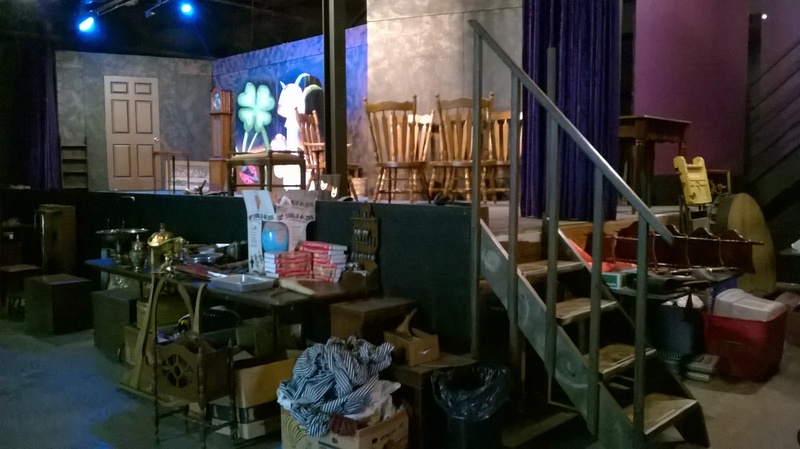 Easily changed scenery and a lot of period furniture to use. A snackbar at the rear of the audience. 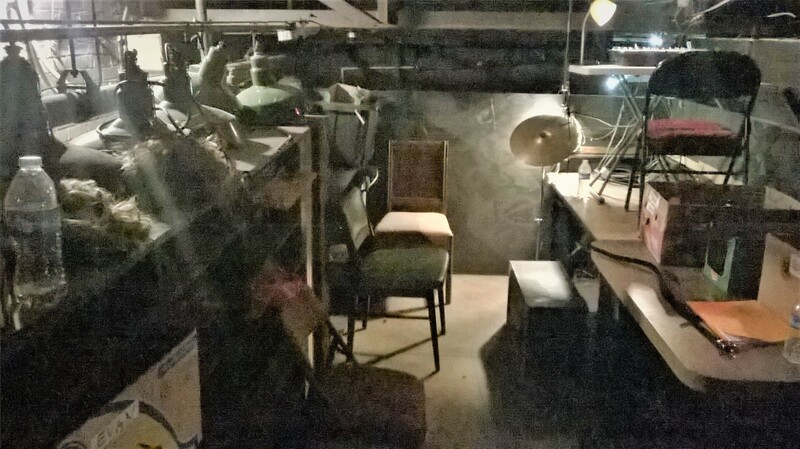 Please ignore the junk. 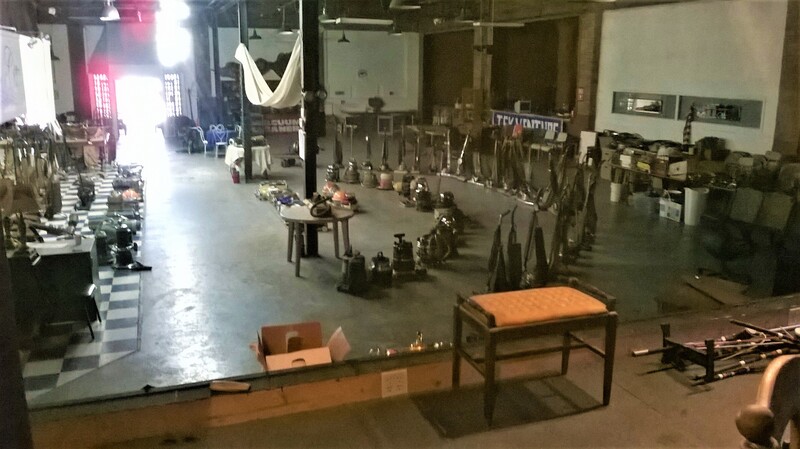 We were doing a Vintage Vacuum Museum on the floor, and a Tag Sale. I am having trouble putting the text next to certain photos. I will try to fix it tomorrow. 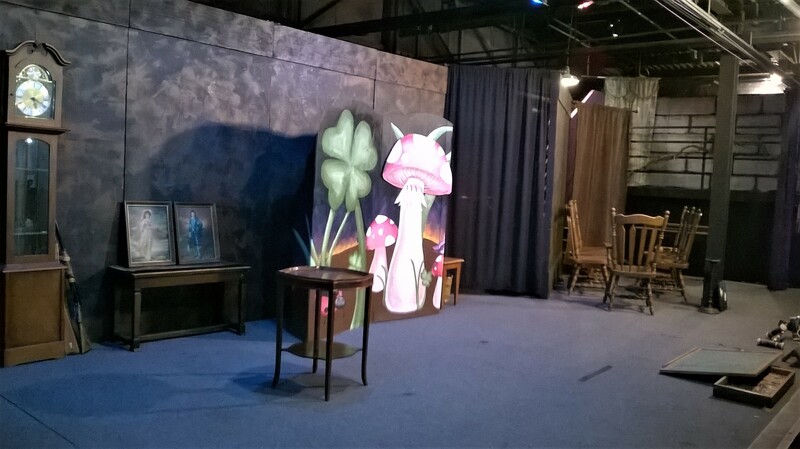 Here is the stage, with enlargements of left and right. You see the steps up to the stage on left and right, and the balcony. 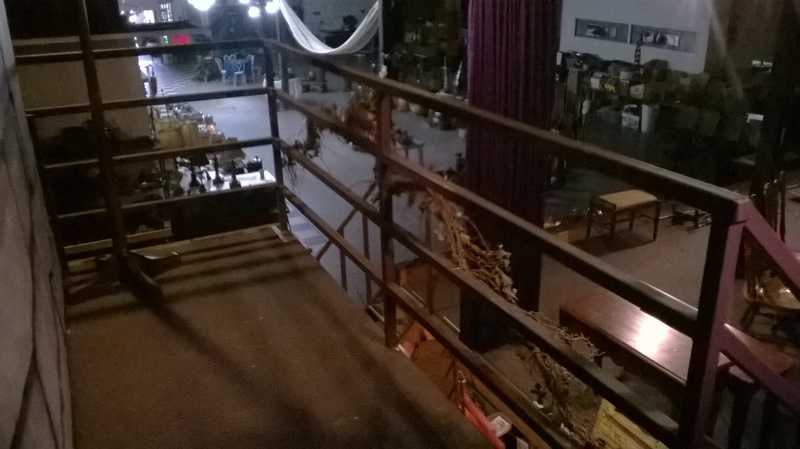 The Balcony is sturdy industrial metal. 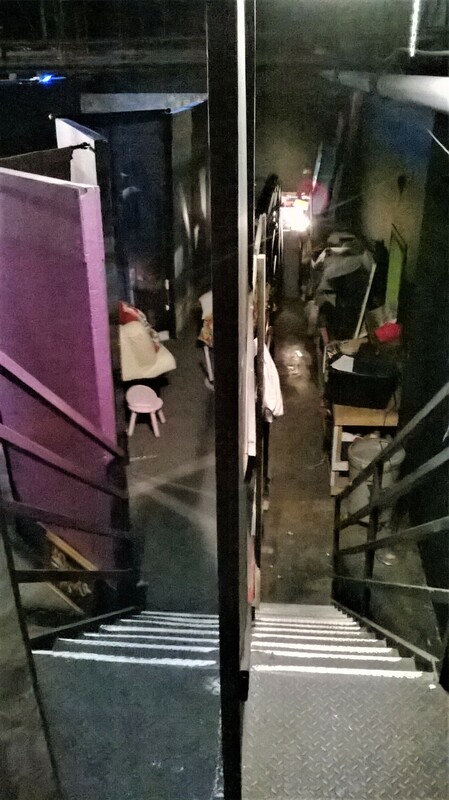 The stairs up to it are wide enough that I ran a wall down the middle, separating it into an onstage and a backstage stairs. 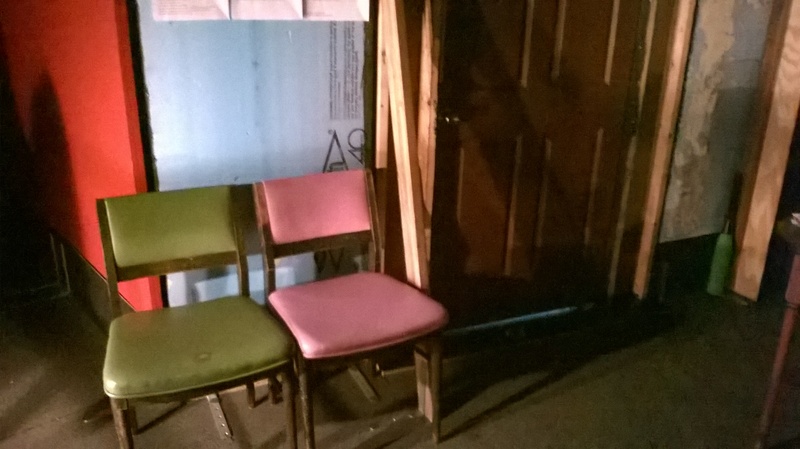 This means you can sneak up there backstage, and enter onstage onto the balcony. The stage is 38 feet wide. 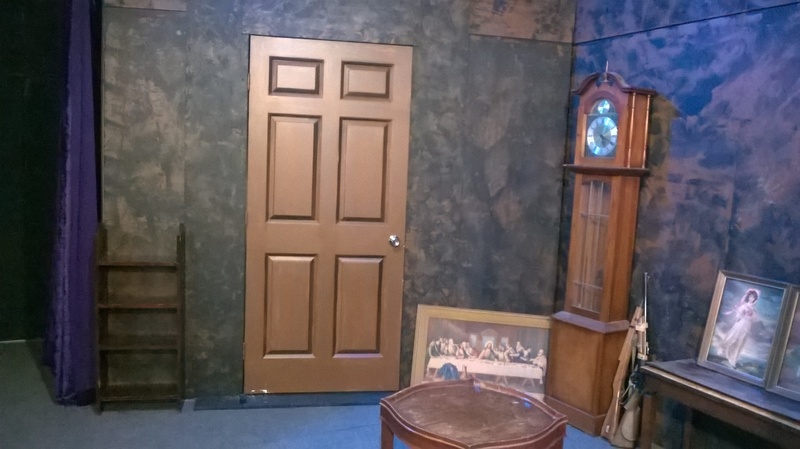 In these photos, the entryways have black curtains. 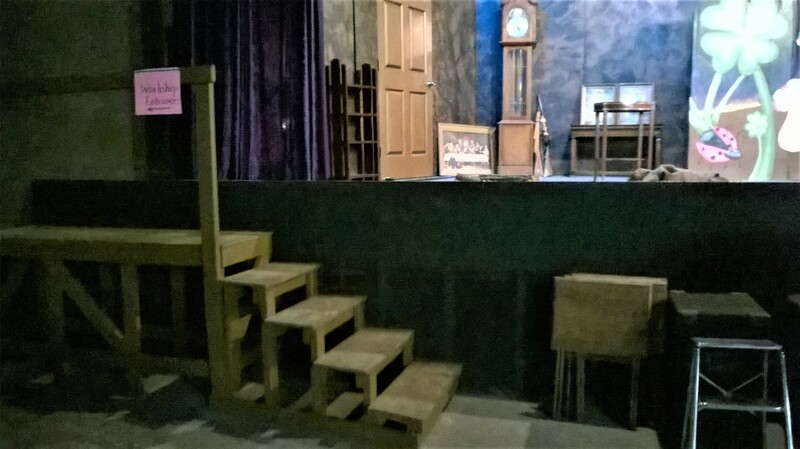 There are steps up to the stage at the two front corners and at the rear, stage Left as an extension of the stairs up to the balcony. The scenery can be repositioned easily. It is connected to the floor by large L brackets and to the adjacent piece of scenery.